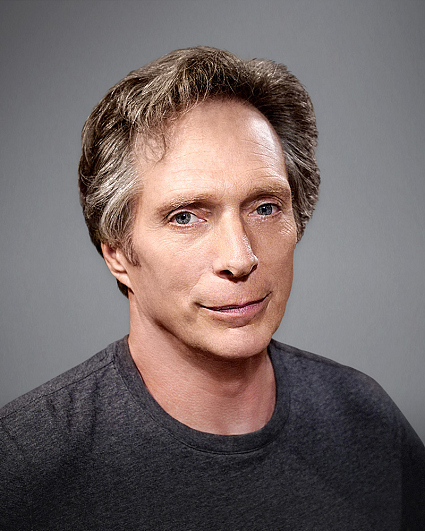 William Fichtner has maintained a reputation as one of Hollywood’s most versatile and talented actors, starring in a wide range of television, film, and theater roles. Recently, Fichtner wrapped the independent feature film “All the Devil’s Men” and hosted the BBC’s “Top Gear America.” His movie credits include “Horse Soldiers,” “Finding Steve McQueen,” “Stranded,” “Independence Day: Resurgence,” “Teenage Mutant Ninja Turtles,” “The Homesman,” “Elysium,” “The Lone Ranger,” “The Dark Knight,” “American Wrestler: The Wizard,” “Last Days of Summer,” “Krystal,” and “Hot Summer Nights.” On television, Fichtner recurred in the series “Empire” and starred in “Crossing Lines.” His other television credits include “Entourage,” “Prison Break,” and “Invasion.” Fichtner garnered critical acclaim for his role in “The Fiery Furnace,” as a member of the Circle Repertory Theatre. His additional stage credits include “Raft of the Medusa,” “The Years,” “Clothes for a Summer Hotel,” and “Machinal.” In his free time, Fitchner enjoys hockey and is an avid motor sports lover. In 2011 he placed first at the Toyota Pro/Celebrity Race at the Grand Prix of Long Beach. Additionally, he took first place at the Irwindale Speedway “Kids Against Cancer” charity race. Originally from Buffalo, N.Y., Fichtner currently lives in Los Angeles with his wife, Kymberly. His birthday is Nov. 27.